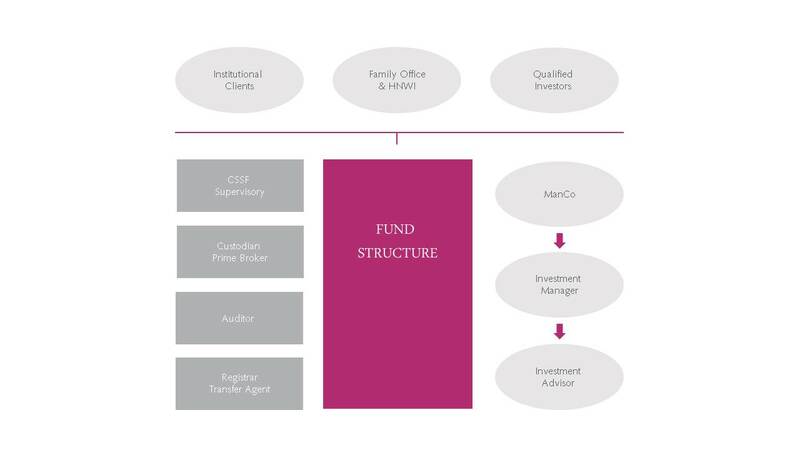 Creatrust advises Alternative Investment Fund Managers and fund promoters on how to structure their investment portfolios. Creatrust offers a one-stop-shop solution that turns an initial investment idea into a successful fund. Venture capital and private equity funds:Venture capitalist and private equity firms setup funds in Luxembourg to invest in deals, co-investment, new ventures, tech companies, blockchain technology, biotech and real estate developments. Hedge Funds: A range of investment strategies can be pooled in an alternative investment fund, enabling investors to benefit from the potential returns (long/short, Fund of Funds, Event Driven, Quant, Crypto, Market Neutral, etc.). Creatrust assists managers in structuring the Alternative Investment Fund which is most appropriate to their needs. Crypto Fund: Crypto fund strategies involve investing in or trading crypto assets, Initial Coin Offerings (ICO), cryptocurrency mining, blockchain related projects, decentralised ledger technology, etc. Crypto strategies can also be structured into alternative investments vehicles. Co-ownership:Creatrust creates structures and Special Purpose Vehicles (SPV) which enable investment partnerships. Co-investors pool efforts to support the same investment ideas. Capital raising:A great investment idea often requires external finance to succeed. We help investment managers and fund promoters to package their investment propositions effectively to attract multiple rounds of investment, by issuance of security, private placement, listing, etc. S.R.I. / Infrastructure: These projects can be pooled into an alternative investment vehicle which will give exposure to socially responsible investments, green bonds or infrastructure projects. Luxembourg Alternative Investment Funds can be set up as regulated and unregulated vehicles. For regulated vehicles we distinguish between funds targeting the wider public and those aimed at a restricted group of qualified, professional or well-informed investors under private placement. Regulatory oversight is performed by the CSSF, the financial regulation authority in Luxembourg. Securitisation entity : Fund or company – to transform assets and future cash flow into securities. Our Funds team acts as a one-stop-shop to take a fund from initial concept through to inception and beyond. We advise on the optimal solutions to suit the investor’s needs in line with an appropriate level of regulatory framework, including unregulated options. We liaise with external service providers – custodian banks, prime brokers, auditors – to implement the chosen solution, and organise domiciliation and the ongoing central administration of the fund / Special Purpose Vehicle.